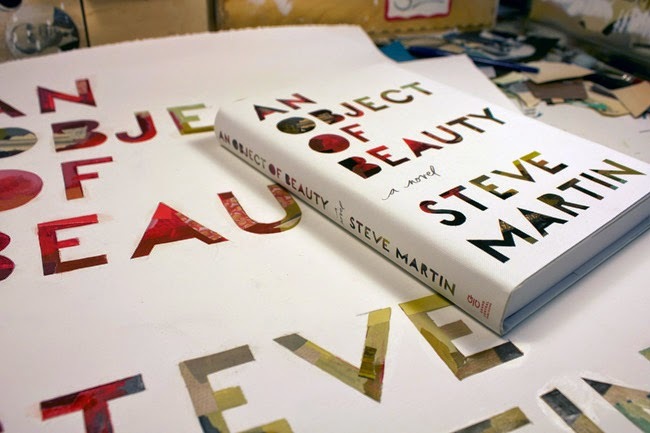 Somewhere between the movies, the memoirs, the bluegrass albums, New Yorker essays, plays, and piquant children’s books, one-man Renaissance project, Steve Martin has produced An Object of Beauty — a dramedy of manners that doubles as an immersion course in the rarefied world of high-end art. Object comes with excellent visual aids: small-scale reproductions of Warhols and Picassos, Sargents and de Koonings. At heart, though, it’s an old-fashioned morality tale, draped in the chic black of Manhattan’s greyhound-lithe galleristas and the fickle millionaires they serve. Enter dazzling arriviste Lacey Yeager, a wily sexpot whose junior post at Sotheby’s provides entrée to the art-world elite, but can’t contain her for long. For all her charisma, the ruthlessly self-serving Lacey is not inherently a creature of much emotional heft or warmth. Still, Martin has a gift for rendering an esoteric scene accessible, piercing its sillier pretensions while making a case for art’s real aesthetic (if not monetary) value. It takes a certain nimbleness to play the dual roles of proxy art-history professor and compelling storyteller without falling off the literary balance beam. Martin, wry, wise, and keenly observant, rarely misses a step.